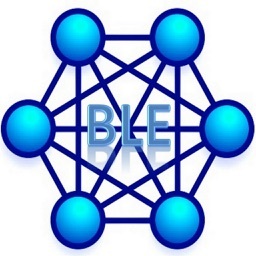 BLE Smart is the Swiss Army Knife of BLE Scanner apps used by technology enthusiasts, developers and InfoSec specialists to find, explore and debug devices with Bluetooth Low Energy (BLE, Bluetooth LE, Bluetooth 4.0, Bluetooth 5.0 or Bluetooth Smart). 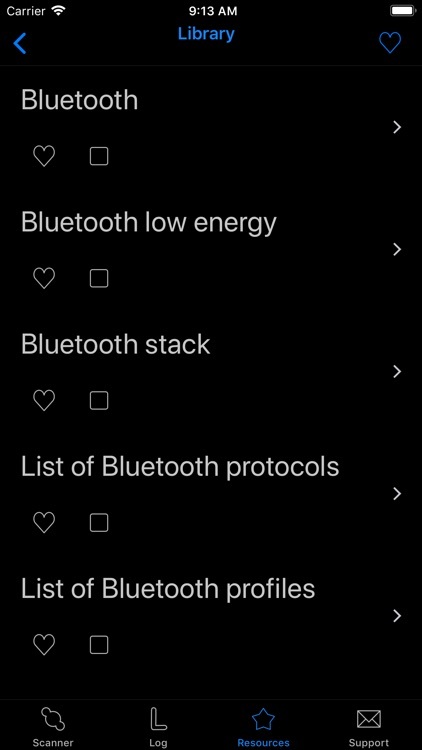 BLE Smart includes a high performance scanning algorithm (tweaked for speed), while keeping energy efficiency features in mind - such as the new DarkMode interface that follows the power pattens of OLED technology. 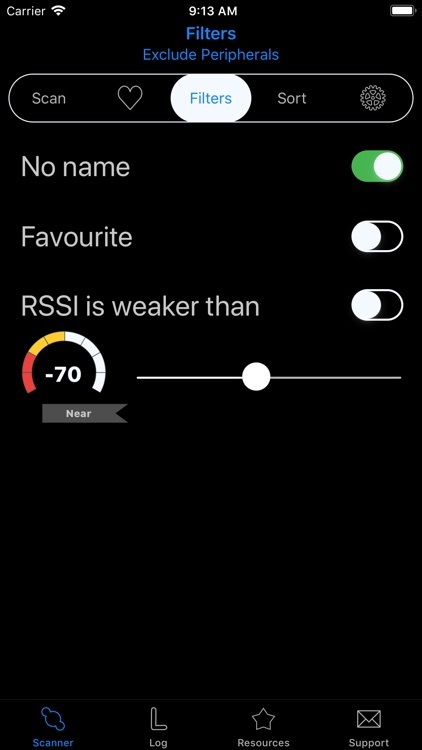 Enjoy a cohesive, intuitive and easy to use interface with beautiful visual widgets - such as the combined indicator to view the Received Signal Strength Indication (RSSI), Proximity, Favorite Status, and Discovered Services count. 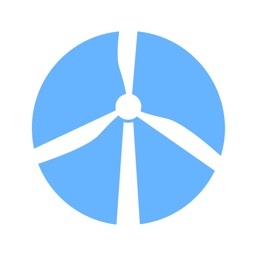 Functionality such as Favorites, Filters, Sort and Configuration are all in easy reach. 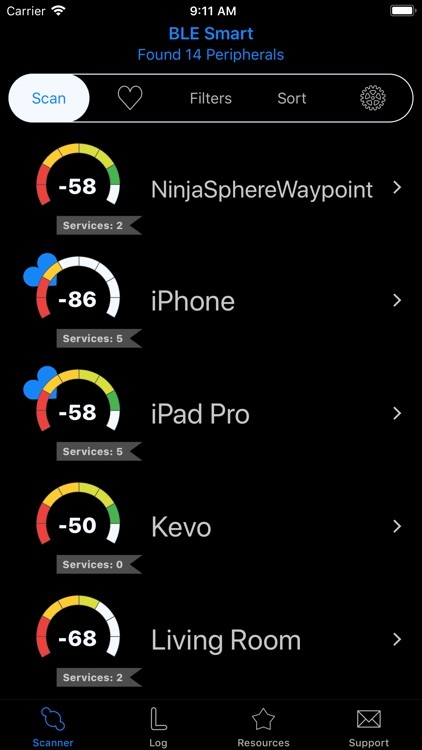 Scan for all BLE devices, refine your search to just your favorites, or use Filter & Sort options. • Use filters such as [RSSI is weaker than] to block unwanted devices. • Interested only in your Favorites? In the Scan browser click into your Favorites to enjoy the same scan functionality without all the noise. Nice! Browse the Advertisement Data, and detect if it changes. 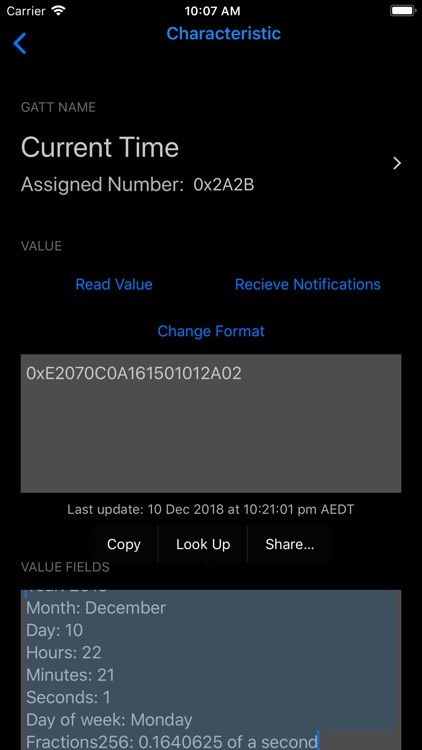 If available, BLE Smart will lookup the Bluetooth SIG Company Identifier to provide you the Company and unique number. • Connect to BLE Peripheral devices that allow it. BLE Smart will auto-magically populate the Services (White), Characteristics (Blue), and other information it finds. 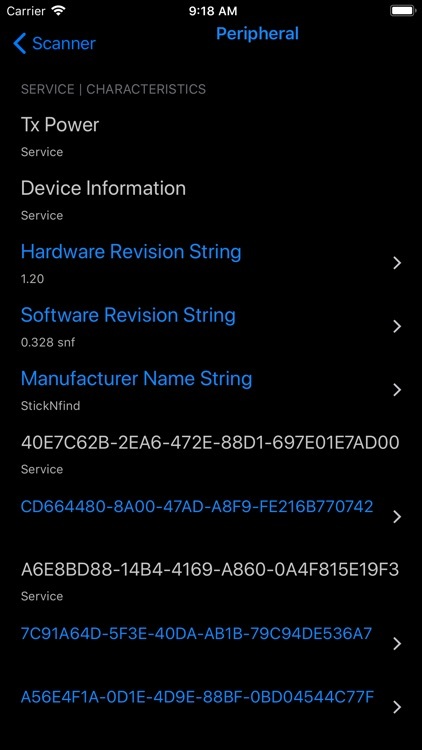 • If a GATT Service, or GATT Characteristic is recognised from the Bluetooth specification it will populate its name for you. 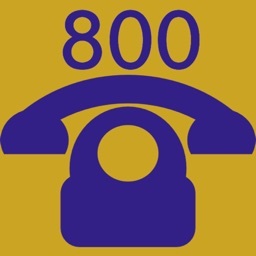 Custom designed Services and Characteristics will populate their UUID. • Drill down into GATT Characteristics to view individual VALUE FIELDS. A LARGE amount of development time has been invested to where possible, derive the field values coming off your device. Some Characteristics contain a lot, others only one. You can use this helpful feature to test and debug your own development project. • Select text to COPY + PASTE, or SHARE. • Change Characteristic Values formats. 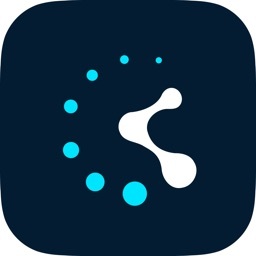 • Receive or Stop Notifications. 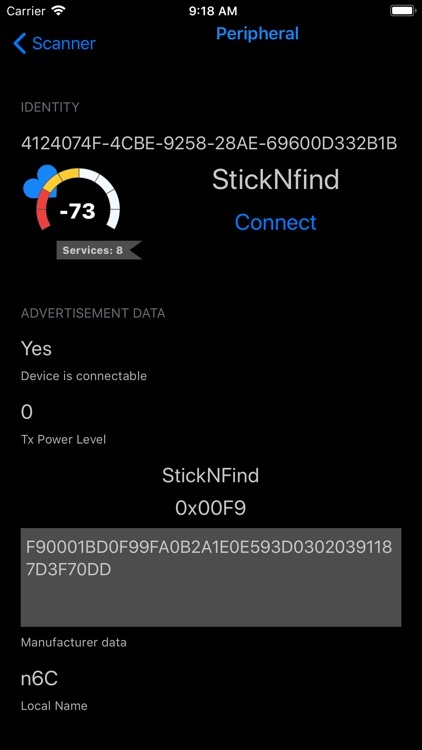 How do I find my Bluetooth Device? 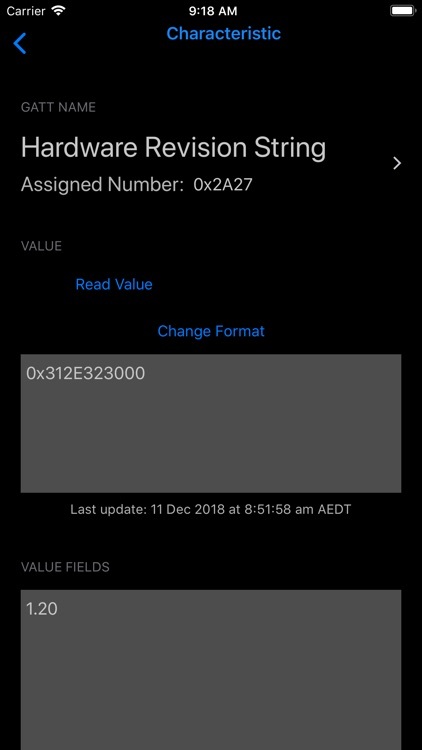 A popular use case for a BLE scanner program is to locate a lost BLE device, or BLE tag. As long as your device still has some battery life, was turned on when you lost it, and is still transmitting - the odds are pretty good that you will still be able to find it. Walls, metal objects and low batteries can affect range & signal strength. If your building is more than one level - your device may be above, or below you! 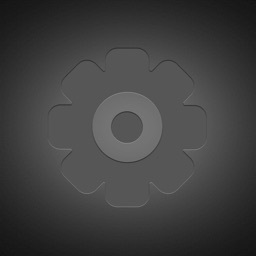 • Turn off any Scan filters that will block your device! • Eyeball your device in the Scan Browser. Drill down into the Peripheral Screen. • Time for a game of "Your getting Hotter & Colder"! 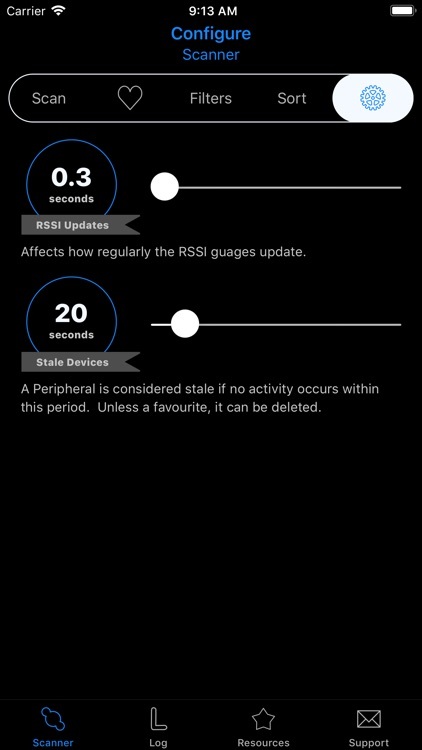 Use the RSSI value to gauge the BLE Peripheral proximity. The proximity indicator will transition from Red(Unknown), Yellow(Far), Light Green(Near), Dark Green(Immediate). 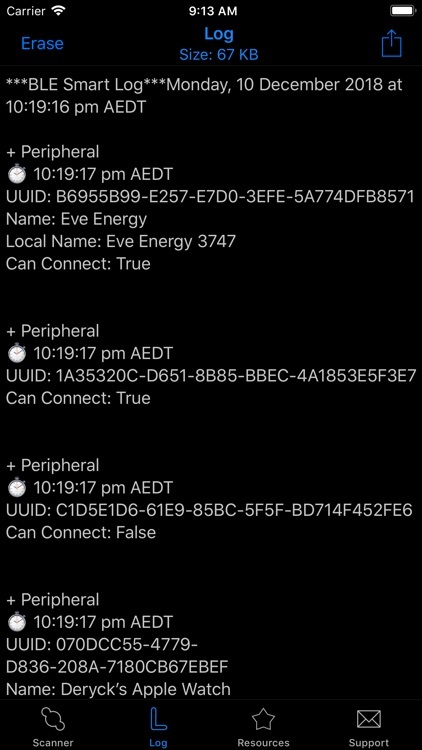 A BLE Logger will log Bluetooth related events for you. Select particular events to COPY + PASTE, or share the entire log. Use the Resources tab to find relevant and helpful information. No subscriptions, and no Ads! • Gift the app to a friend! • Have a feature request? Let me know!